Semana Santa, or Holy Week, is in near-full-throttle position here in Spain. While today’s only Friday evening, one notices immediately fewer cars in the streets and the more traffic on Spain’s highways. Madrid, on the other hand, will be comparatively tranquil with little traffic and lots of available parking spaces as seemingly half the population leaves town. SOME PEOPLE like students, teachers, and some businesses, take the entire week off while many others only close only on “Jueves Santo” or Holy Thursday and through Easter weekend. 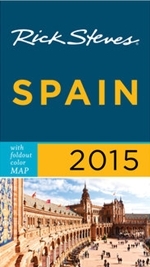 Other people will go to the family home in the “pueblo” for rest and relaxation while many others go down south to Sevilla, Granada, Córdoba, Cádiz, or the beaches of Málaga. Still others will take advantage of the free time to fly to France or Germany or even to the United States where the exchange rate is VERY favorable for those carrying Euros. VERY unfortunately, the weather forecasts for Holy Week in Spain are not very positive, expecting cloudy skies and some rainy conditions throughout Spain accompanied by cooler temperatures. None of this is surprising since Easter came SUPER early this year. 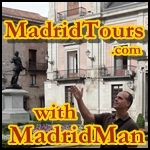 Many people will be enjoying the religious processions throughout Spain too, including in Madrid. I hope I’ll have the opportunity to see some as I’m staying here this year although I’d love to get away for at least a few days. Oh well. I guess I can wait until the following week when I expect to spend 6 days in Granada. Hope the weather’s good there. We’ll see. 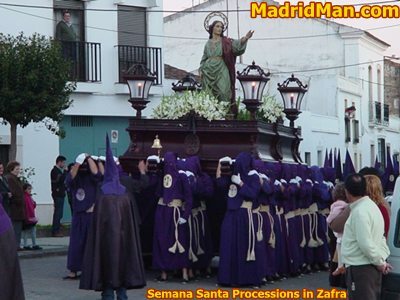 This entry was posted in About Spain, Travel and tagged Easter, Extremadura, floats, Holy Week, jueves santo, Nazareños, pasos, Penitentes, Procesion, procesiones, Procession, saeta, Semana Santa, Spain, viernes santo, Zafra. Bookmark the permalink. Your not kidding about the weather forcast, we were down in Malaga for a few days with friends and while the weather was cool it was very comfortable but when we got back it was FREEZING here. I wanted to turn around and go straight back!I can’t believe what a difference 500K makes. If you do go south during Easter it’s best to go at the beginning of the week, if you think Madrid is crowded it’s nothing compared to the coasts. Wall to Wall people. I’m not quite sure how people can handle the heat during the summer, it was nice but the sun is strong, If I lived on the coast I’d be heading north for the summer.